December’s guest Bente Rasmussen immigrated from Denmark 26 years ago with her family. She’s heavily involved in the Danish Sisterhood of America's Dagmar Lodge #4, which is where we met. She has served as president of this lodge for several terms and continues to be involved as Past President and Event Coordinator. She and husband Lars keep active serving the Danish community within the Chicago area while working full-time. It’s been an honor getting to know Bente and her gift of hospitality. She’s always opening her home and giving her time to others. Q) How and when did you, Lars and the boys end up coming to America? A) This is a story! In the early 1980’s Lars worked a lot in the U.S. He was actually laid off in 1984 and got offered a job in Chicago; he took it but I was not ready to move after he had been gone half a year, while I was alone with two toddlers in Denmark. He got a job back in Denmark. Then in 1989, a friend who still was in the U.S. called and offered him a job in Fort Wayne, Indiana. The situation was different now. There was uncertainty in the job market. I had been a personal banker for 17 years and that bank was merging, so we could easily be forced to move to another city in Denmark. The prevailing thought was that this was the second opportunity presented to him. We decided that we would not be in our 80’s and regret we did not take the opportunity that was offered, and on the other hand, what could we have to lose since our boys were 6 and 9 years old? In reality, a move is a move and we would just add another language to the challenges. After four years in Fort Wayne, we moved to the Chicagoland area. Q) What were some of the surprises you encountered in the move? A) To move from Denmark to U.S. you do not get a culture shock, since this country was founded by Europeans. However, there are differences that are unique. The biggest shock for me was that women were not more respected. It was like going generations back. I came from an industry where there was equal pay and opportunity for all. Q) I know you travel home on occasion. What do you miss most about living in Denmark? A) Since only our immediate family is here, we have always prioritized to go back at least every two years, especially when the boys were young, so they could keep the contact with the grandparents, family and friends. Denmark is a wonderful country, and what I miss the most is the security if you get sick and old. The social system is not perfect but it does take a lot of stress off families. It meant a lot that our parents were taken care of when we were so far away. Q) You jumped into the Danish Sisterhood so readily. What motivated you to get involved? A) I have only been involved with the Danish Sisterhood for about 10 years. Everything has its time. My husband traveled a lot, so I was alone with the boys and worked part-time, so with their school and activities there was no time. When they were out of the house, we both felt it was time to give back and preserve the Danish heritage for future generations to come. Many of the new members are second or third generations, and we would still have original things to offer. Q) Besides Dagmar Lodge 4, where else are you involved? A) Since my husband is also heavily involved in the Danish community, it many times involves me too. So I have prioritized the Danish Sisterhood, and always connected to the other Danish organizations and the Danish Retirement Home in Chicago. Q) I saw you and Lars were up to more good with a service project for 2017. What is it all about? A) 2017 will be a very exciting year for the Danish Community, since The Danish Home is celebrating its 125th anniversary. For the summer picnic, we are co-chairs for The Spirit of the Family with a Tivoli Gardens and Casino Night. The grounds of the Danish Home will be transformed to enhance the Tivoli Spirit with entertainment and games for the whole family, ending with a Casino night and more entertainment. 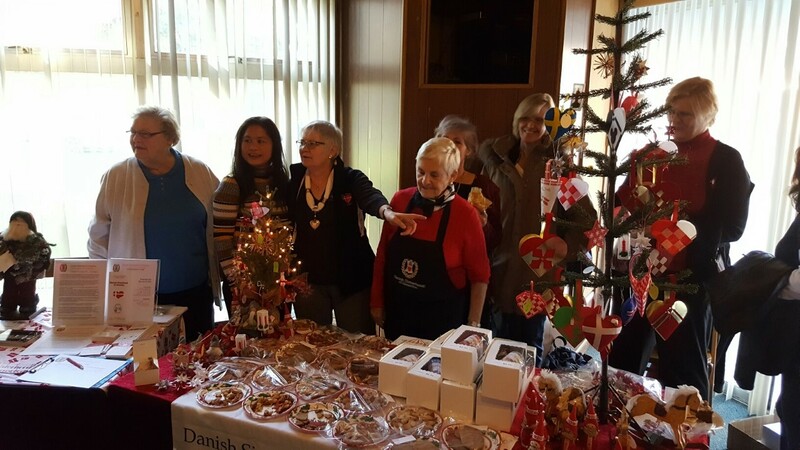 There will be Danish open-faced sandwiches served and other Danish specialties. Q) Outside all your extra activities, how do you and Lars juggle working your full-time jobs? A) We also have a business in financial services where we educate in money matters and help people prepare for their future. I think it is important to have passion for what you do, and then you will find the time. It is always a challenge to find the right balance. Q) Who in your life has been your role model? A) I would say it has been my Dad. Regardless of what happens and circumstances, you always keep a positive mind, find the good things and always look forward, never pondering on the past that you cannot change. Q) What is something unexpected about you, that only a few know? A) That I was a very quiet girl in my childhood, and nobody would ever expect me to do this move to the U.S.